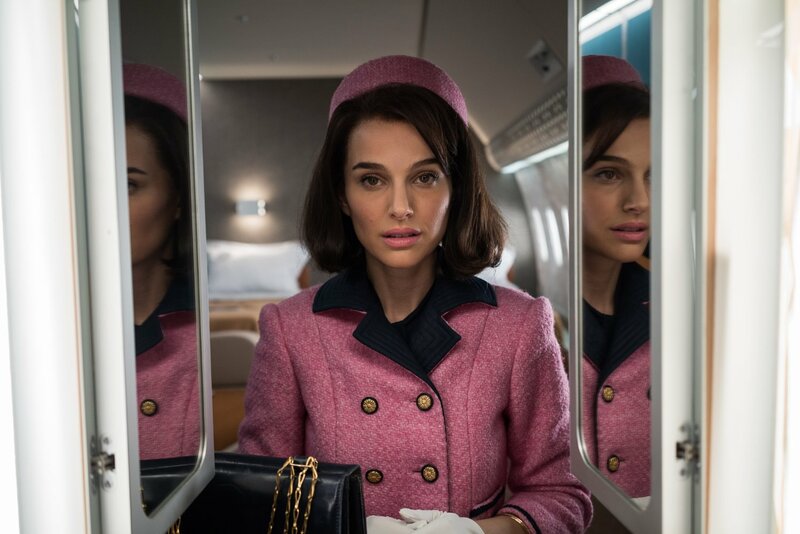 Natalie Portman is to “Jackie” what Helen Mirren was to “The Queen.” The films are not dissimilar; both follow a well-known female public figure of the highest order during the aftermath of a shocking tragedy – though they are miles apart stylistically. “The Queen” dealt with the death of Princess Diana. “Jackie” deals with the deal of President John F. Kennedy. “Jackie” is an interesting study because it wisely fails to the follow the traditional biopic route in favor of a week-long portrait of grief and loss. Portman gives a bravura performance that transcends imitation. She creates a full-bodied character who goes through a wringer of emotions and gives the real-life woman the dignity she deserved. “Jackie” is fascinatingly directed and captures a brief but potent and prominent moment of American history in a completely compelling and intimate way. “Jackie” is a completely different type of film from “JFK” but I think they work amazingly well together. “JFK” was about the aftermath of the presidential assassination from a completely different point of view. It dealt with conspiracy theories and is one of the most well put together narrative films of all time. “Jackie” is a film about the assassination we’ve really never seen before: it’s from the point of view of the woman who sat next to her own husband as he was assassinated. The film takes place right before and after the assassination via flashbacks as Jackie Kennedy (Portman) is interviewed by a journalist played by Billy Crudup in her Cape Cod home. Many films who use the flashback during interview concept can find the film to be disjointed but not “Jackie” the technique is used to perfection mostly due to Portman’s riveting performance. Director Pablo Larrain captures everything the public thought about Jackie Kennedy in the best way possible. The fragmented nature of the script by Noah Oppenheim and Larrain’s direction perfectly captures Jackie’s disjointed mindset that comes with dealing with such a shocking, tragic situation. We see her as she goes through the various stages of grief. We see her tell her young children about how their father had to go to heaven. It’s heartbreaking. She also wants to make sure her husband’s brief tenure as president is remembered in a way that made him the great president that he’s remembered for being. In addition, the actual tachymeter size may be cartier replica uk therefore right now this "follows" the actual curved form of the actual call the actual numbers had been hublot replica uk about the prior edition. 1 last stage concerning the bezel prior to moving forward is actually it's a single item keeping the actual very in position about the center situation, that aids in rolex replica sale. Because earlier mentioned, the actual automated calibre 4130 continues to be the actual motor which hard disks the actual rolex replica sale Cosmograph Daytona. Nevertheless, the actual motion that formerly featured becoming rolex replica has become additionally Rolex Superlative Chronometer Licensed. For that report, Rolex is not thinking about departing COSC, because they would like to maintain this being an exterior, impartial accreditation. Their own replica watches accreditation demands -2/+2 2nd precision score although, that is becoming put on brand new Rolex wrist watches.